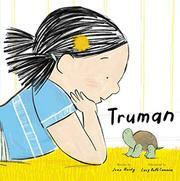 It is with immense fascination that toddlers and preschoolers take in stories about the time when they were babies. 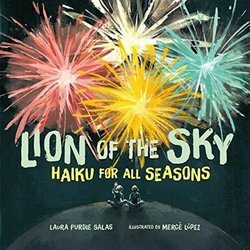 Picture books about babies and babies at play aren’t just for children of the same age. (And if they are and you want to avoid ripped pages, be sure they are board books.) Those children just up on their feet like to experience those children’s books that show them a time when they were babies and unable to get around on their own. 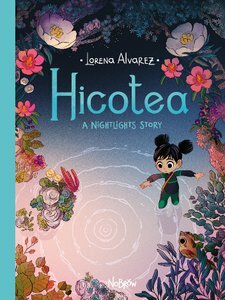 Such books can even prompt stories from the adult reading to the child—personal stories about what that child was like as a newborn and growing babe. Children love this. I’ve got two such picture books on my mind today, and with one of them, we’re going to start exceedingly early. In the womb, that is. 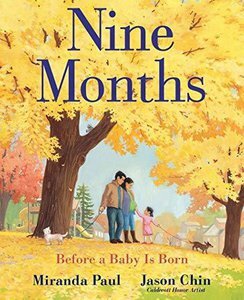 From Miranda Paul and Jason Chin comes Nine Months: Before a Baby Is Born, a new collaboration in April. (In 2015, the two brought us Water Is Water, a lyrical look at the water cycle.) 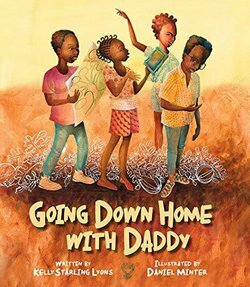 This informative book follows a family of three as they await the birth of a child. For the book’s first eight spreads, the left side depicts illustrations at actual size of a growing fetus, starting with a fertilized egg on Day 17. (Look closely on the title page, though, to see the tiny depiction of sperm about to meet an egg.) The right side of each spread depicts the mother, father, and their daughter, awaiting the baby’s arrival. The loving couple preps their daughter for big-sisterhood, experiences the first sonogram, builds a crib, and so on. All the while, the baby grows with Chin’s expressive illustrations, rendered via watercolor and gouache, consistently at actual size. By week 36, the baby is large enough to almost crowd out the illustration on the recto, and the next spread features one full-bleed illustration of a baby “slowing down.” She’s ready to come. The final three spreads depict the couple on their way to the hospital, the newborn babe being handed to the mother, and the family reunion when a set of grandparents brings the girl to meet her new sister. All of this is told via a spare and eloquent rhyming text—“Grasp. Clasp. Ears that can hear. Sing as she listens. Tell her you’re near,” we read in month six, as the mother and girl talk to the mother’s growing belly—which flows beautifully when read aloud. The verso of each spread with the growing fetus includes text that indicates which week and month we are in. Two backmatter spreads include more details about pregnancy, the growing baby, and birth—even a definition of miscarriage and a gentle explanation of how it can impact a family. This poetic and informative exploration of fetal development will not only appeal to toddlers; it’s also an exceptional book to share with children ready to be siblings. When you’re done sharing that one, you can follow it up with Baby Day (already on shelves) from Australian authors Jane Godwin and Davina Bell. This one is all about a first birthday celebration: “Today is baby’s birthday,” the book opens. “There’s going to be a party. Happy baby!” A set of parents waves to party-goers, as they arrive with their own babies and just-toddling toddlers at an outdoor celebration. It’s an inclusive group of parents that illustrator Freya Blackwood depicts, but the focus here is on the babies. Both of these satisfying picture books can engender rich discussions. To boot, sharing books with children at this very young age can be a special time of bonding, and doing so are the baby steps to kick-starting a lifelong love of reading. NINE MONTHS: BEFORE A BABY IS BORN. Text copyright © 2019 by Miranda Paul. Illustration copyright © 2019 by Jason Chin. Illustration above reproduced by permission of the publisher, Neal Porter Books/Holiday House, New York. BABY DAY. Text copyright © 2018 by Jane Godwin and Davina Bell. Illustrations copyright © 2018 by Freya Blackwood. Originally published in Australia in 2018 by Allen & Unwin. Illustration above reproduced by permission of the publisher, Atheneum Books for Young Readers, New York.